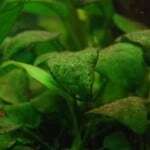 Certain requirements need to be met in order to grow aquarium plants successfully. Light, nutrients, substrate, and carbon dioxide of sufficient quantity are the main requirements. 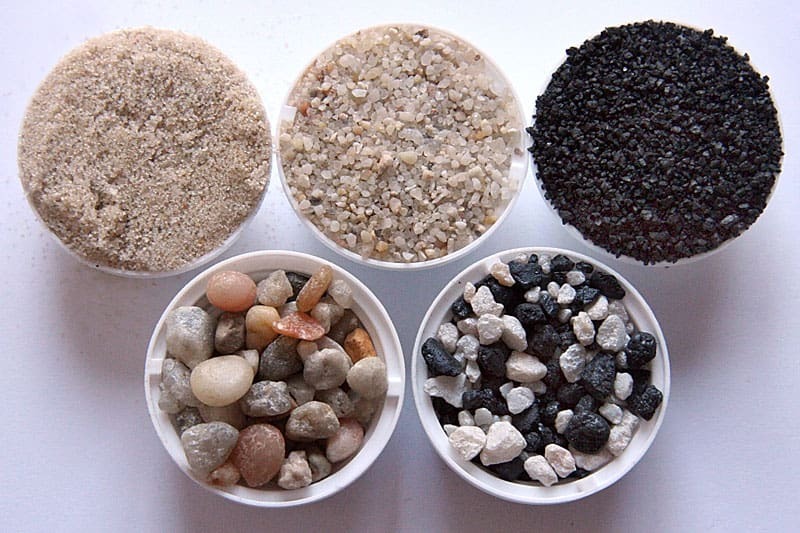 Substrate is the medium in which plants grow their roots and sand or gravel from medium fine to medium coarse grade is best. 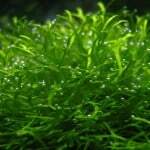 Too fine and the substrate will compact and not allow enough nutrients and water to flow to the plants roots. 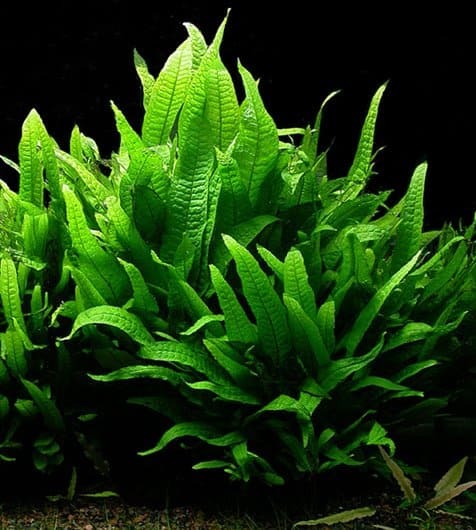 Too coarse and the plants will not be able to root successfully along with root rot being a good possibility because of an excessive build up of fish waste in the plants root zone. 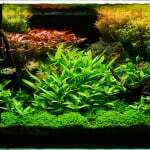 Colour choice is more important to the owner of the aquarium and of no concern to the plants, but I would stay away from white as it is too reflective and shows fish waste too easily. 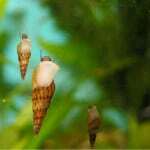 For more detailed information about substrate choice check out our article on substrates for the home aquarium. Lighting is critical for success with plants. With intensity, duration, and colour spectrum all being important. 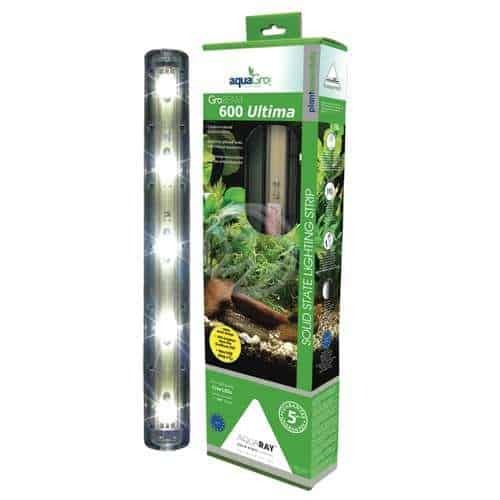 Duplicating natural sunlight, or close to it, seems to be the best choice when it comes to colour while using fluorescent tubes that are as close to the length of the aquarium as possible in wattage that totals 1.5 – 3 watts a gallon. A quality hood with a good reflector can make a big difference. The amount of wattage necessary using poor reflectors can be up to twice the wattage as required when using good quality reflectors. Fluorescent tubes do not last forever as their light output slowly degrades. It is best to replace them on a yearly basis on average. If your light sits over a glass top, or it has a plastic splash shield, make sure they are kept clean, as it takes very little dirt, dust, and water scale to reduce the amount of light that make its way to your plants. 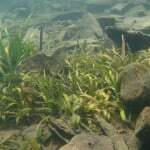 Carbon dioxide and nutrients are needed by all plants. 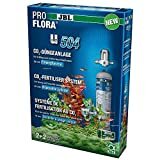 Some plants have higher needs than others and are harder to keep, but in general, except in heavily planted aquariums with only a small fish population, additional nutrients and carbon dioxide are unnecessary. 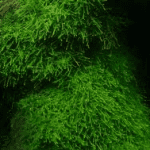 If your plants are green, but getting thinner as they grow this is a good sign that their nutritional requirements are not getting met and trying a plant supplement may be in order. 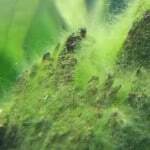 Something which often gets asked and brought up is seeing bubbles emerging from the leaves of plants in an aquarium fish tank, fear not, this means they are growing very well and you have done an exceptional job of giving them all their necessary requirements to thrive.